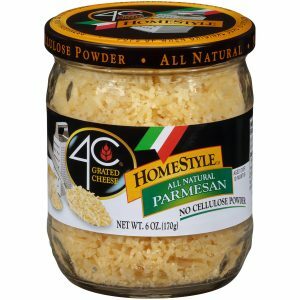 Enjoy the nutty, delicious taste of 4C Shredded HomeStyle Parmesan Cheese. 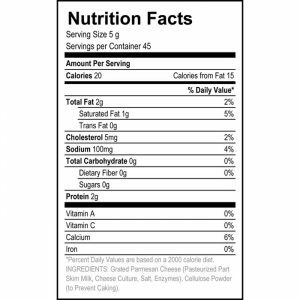 Cheese is all you’ll get…No Additives, No Preservatives and No Cellulose! Our cheese is aged over 10 months. Cheese. Cheese..Nothing but Cheese. 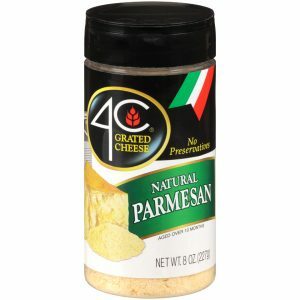 Enjoy the nutty, delicious taste of 4C Grated Parmesan Cheese. Cheese is all you’ll get…No Additives, No Preservatives, No Fillers and No Cellulose! Our Parmesan Cheese is aged over 10 months. 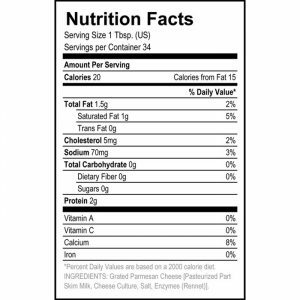 4C Grated Parmesan Cheese is 100% Natural with No Preservatives. 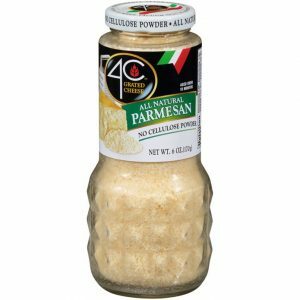 The handy 8 oz canister comes complete with shaker top so that you can get your full dose of delicious, nutty parmesan cheese. Aged over 10 months. Enjoy!